What great news for fans at the time – access to rare, previously unavailable material. 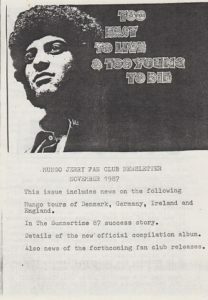 It started with a selection of live recordings from the mid-70’s and was issued by the London based fan club. 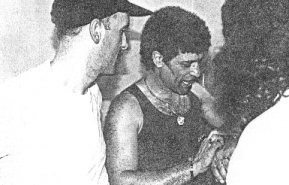 Derek at the St.Helens fan club, with the kind permission of Ray Dorset made many more cassettes available to fans – demos, live recordings and more. 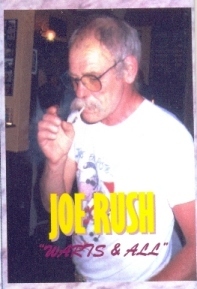 The last of the fan club only CD’s was a recording of Mungo legend Joe Rush talking about his musical life in answer to questions set by the fan club. 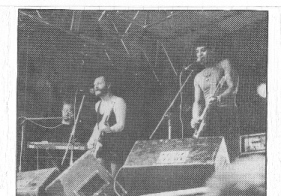 Midnight Special/Flyin’ Saucers Rock’n Roll (Baileys, Derby, October ’75)/St.Pete’s Florida Blues/Little Bit Of Love (Capital Radio, ’74)/Tear ’em Down/Northcote Arms (Baileys, Derby, October ’75)/Little Miss Hipshake (Margate, June ’75)/In The Summertime (Leicester, June ’75)/Help Me (RAF, Brize Norton, ’74)/Baby Jump (Margate, June ’75)/I Could Never Start Lovin’ You (France, ’76)/Really Had a Good Time (Leicester, June ’75). 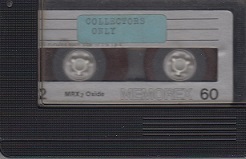 The very first fan club only cassette was made available by the London based club in the 70’s. It was especially notable for featuring the only available recording of the popular mid-70’s stage show number, Help Me, although we found out years later that a ‘version’ exists in the old Pye archives. It still remains there and still un-released. I Just Wanna Dance With You/Crazy Girl/Sitting On A Rainbow/Hello Nadine/Party-o/Back Door Man/Dead Or Alive/That’s What I Like/Get Down On Your Baby/Away We Go an’ Away We Fly/What’s Your Game/Woh-oh-oh/I Love You Baby/Mighty Man. From Shadows To Bright Lights was a collection of unreleased recordings, demos and even a couple of tracks taken direct from the original acetates, including Mighty Man. San Francisco Bay Blues/Somebody Stole My Wife/Johnny B.Badde/Maggie/Gimme That Harp/You Better Leave That Whisky Alone. 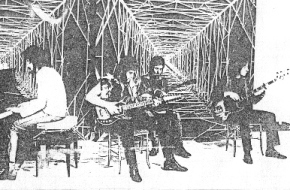 1970 live in the studio radio session. Milk Cow Blues/Lady Rose/Statesbro’Blues/Peace In The Country/Bottle Up and Go/Mighty Man. 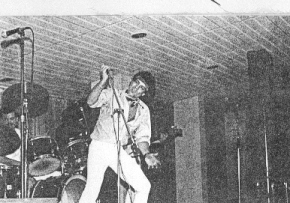 1971 live gig recorded for radio. A Wiggle and a Waggle/Someone Turn Out The Light/Wild Wild Woman/Put a Little Love In Your Letter/Down On Duke Street/Gone Gone Gone/There Goes My Heart Again/Kissing In The Shadows/Just To Make You Want Me/My Chair/All I Want Is Boogie/How Can I Live a Lie. More unreleased recordings, including demos. Don’t Start Me Talking/Mighty Man/Dust Pneumonia Blues/Wooden Heart/Hello Nadine/Bottle Of Beer/Open Up/Rock’n Roll/You Got Me Dizzy/She Loves Me Like a Woman/There’s a Light Shining In The Sky/On a Night Like This/Whole Lotta Shakin’Going On/Put a Little Love In Your Letter/That Old Dust Storm/Singing The Blues/Come Deeper/Glad I’m a Rocker. Baby Give Me One More Chance/Have a Whiff On Me/Tossin’and Turnin’/Big Brown Eyes/St.Pete’s Florida Blues/Little Bit Of Love/One Thousand Miles/Dance Dance Dance/Don’t Stop. Lady Rose/Midnight Special/Tear’em Down/Little Bit Of Love/Long Legged Woman Dressed In Black/It Ain’t What You Do/Flying Saucers Rock’n Roll/Baby Jump/Mighty Man/Northcote Arms. Long Legged Woman Dressed In Black/See You Later Alligator/Lady Rose/Ghost Riders In The Sky/Prospects/Baby Jump/Rock’n Roll/Mighty Man/In The Summertime/Alright Alright Alright/Red Leather and Chrome/If I Had a Hammer/Diana/Barbara Ann/At The Hop/Goodnight Irene/We’ve Got To Go. 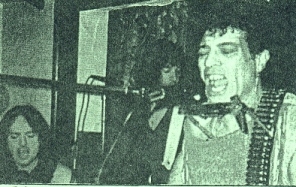 Live UK gig at The Merseyview – 1987. We Shall Be Free/Take This Hammer/San Francisco Bay Blues/Don’t You Rock Me Daddy’o/You Got Me Dizzy/Baby Please Don’t Go/Bottle Up and Go/Dimples/In The Summertime/Jesse James/Sugar In The Bowl/Pick a Bale o’Cotton/Bottle Of Beer/Hey Gyp/Colours/Let It Roll/Rock Me Mama/On The Road Again/See You Later Alligator/Lady Rose/Midnight Special/Have a Whiff On Me. 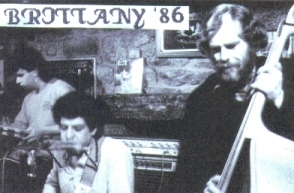 Live recordings taken from two visits to the legendary Processed Pea Folk Club in the early 90’s. Midnight Special/We Shall Be Free/San Francisco Bay Blues/Bottle Up & Go/Jean Harlow/Hello Nadine/Brand New Cadillac/Walk On The Wild Side/Hello I Love You/Dust Pneumonia Blues/Morning Dew/In The Summertime/Alright Alright Alright/Let’s Work Together/Walking The Dog/Ghost Riders In The Sky/Goodnight Irene/Red Leather & Chrome/Jesse James/Mighty Man/Walk Of Life. 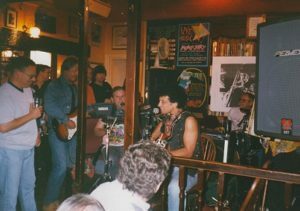 Live recording of Ray Dorset and Joe Rush recreating the magic of their Timex days together, this time in Paris, France. Midnight Special/San Francisco Bay Blues/Have a Whiff On Me/Let’s Work Together/O’Reilly/Cadillac Car/Jean Harlow/Jesse James/Baby Give Me One More Chance/Going Down Slow/Dust Pneumonia Blues/We Shall Be Free/We’re In The Same Boat Brother/You Got Me Dizzy/My Friend/Meeting In The Building/That Old Dust Storm/I Just Wanna Make Love To You/Let’s Roll Baby/Ting-a-Ling/Somebody Stole My Wife/Maggie/Walking The Dog. 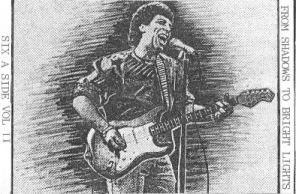 Live recording actually given to the fan club by Joe Rush, of himself, Ray Dorset and Mick Frampton, playing in the pub in France in 1986 and recorded simply on a Walkman but is of surprisingly good quality. 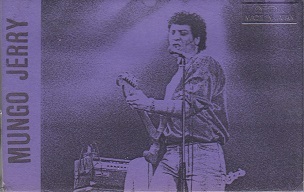 Joe put this tape together for the fan club back in 2000, just before he appeared with Ray at the Hollywood 30 Year Anniversary gigs. He answered some questions for me, and the end product appeared in the fanzine. Joe basically chats about his time as a musician and also plays some of his old favourites from his vast music collection. 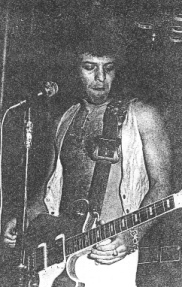 As you would expect with Joe, there are several funny bits, as he reminisces about his musical career, when he first met Ray, leaving The Good Earth just before the band became Mungo Jerry and his return to the fold in the mid-70’s. 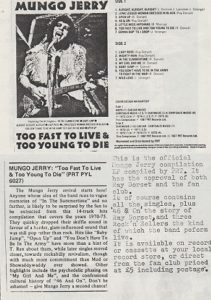 This the front and back cover of an 8-page newsletter put out by the fan club in 1987 announcing the release of the Mungo Jerry compilation album, Too Fast To Live & Too Young To Die. 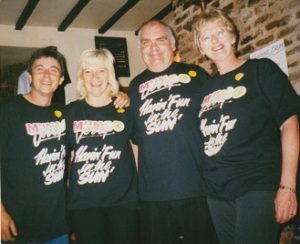 Arguably, the highlight of the fan club’s long history was the 30 year celebrations held on July 1st, 2000. Derek Wadeson was largely responsible for what was a fantastic weekend with special guest, Joe Rush. Fans came from all over Europe to join in the fun – it was amazing!